Well, here we are, days away from leaving for California and on to Raiatea. As I've written elsewhere, you'd think that we'd have every single thing purchased, fabricated and planned, but we don't. In the end, money and time rear their ugly heads and prevent the completion of many of our tasks. I added the photo above to provide some sense of scale for the start of our trip this time. The lower island is Raiatea, the upper and smaller island sharing the coral reef is Taha'a, home of the vanilla plantations we wish to visit. 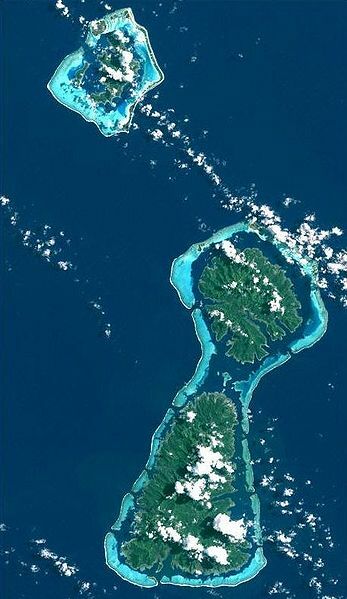 The upper island is the beautiful Bora Bora. Wings, stored at the Raiatea Carenage, is on the western (left) side of Raiatea, about 1/3 of the way from the top. Obviously, we can easily see Bora Bora and if you look at the photos form previous legs, it's enormous volcano dominates the view in that direction. We plan to see Taha'a, Bora Bora, Huahine, Tahiti, Moorea, and several others of the Society Islands. We're seriously considering visiting the Austral in order to see the famous Raivavae, an island believed by some to be more beautiful that Bora Bora. We need to see that! As you might have noticed, I've re-constructed the site and there are still some problems that I've got to solve, but it's cleaner and faster-loading now. This is the first page of Leg 9! 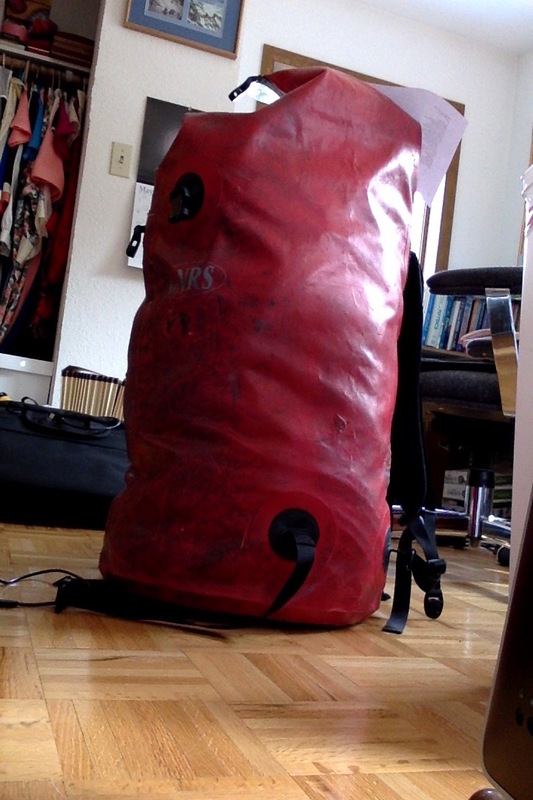 My red "Bill Bag" (the actual product name) is a huge dry bag that is hauling 300' of 1/2" line, a box of injector tubes, and all of my clothing. I've been hauling it for several years and it's my main piece of baggage. "Blue Box 1", with its list of contents. 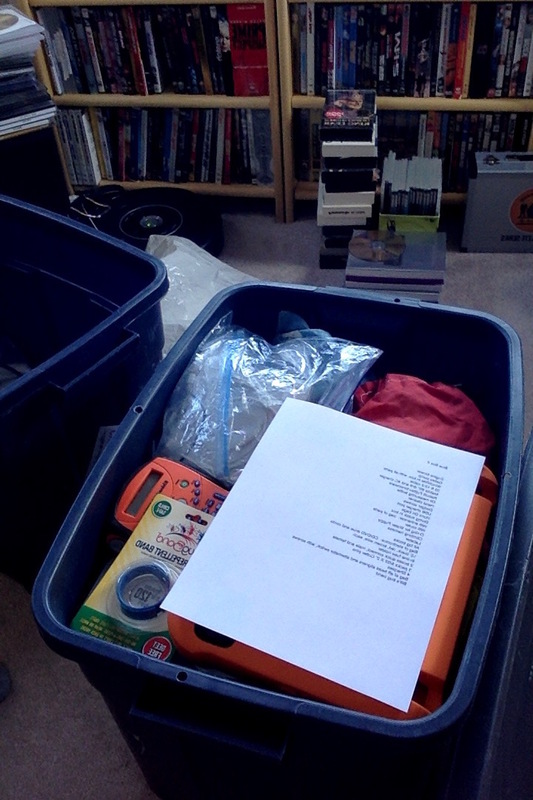 Since I've got to re-attach our radome to the mast, I've got all of my climbing gear in this box: ascenders, carabiners, webbing, harness, etc. I'll place spare cable ties to another document that requests that TSA take care in unpacking and re-packing the contents. The hole in the box lip is a cable tie hole that matches ones in the lid. The lid holes fit all boxes.